How perverse is it that those who per­petrated the discrimination through their appointments of all 161 people covered in my survey are somehow blameless while the person who dis­covered and exposed this is accused of racism. 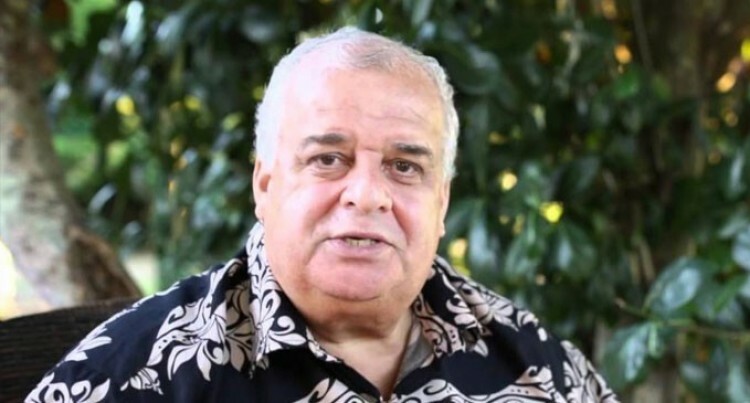 Mr Beddoes it should be noted has previ­ously tried and failed to get SODELPA members to boycott the Fiji Sun. He still says he does not “purchase” the Fiji Sun. We are happy to publish an edited down version of his lengthy response to Ms Pratibha. I believe my thinking is prudent and conservative. It is about adopting the right approach to managing the complex diversity of our nation and promoting harmonious co-existence. It should be self-evident that this re­quires balance and inclusion. The real danger to our society lies with people like Jyoti Pratibha who want to proceed only on the basis of perceived merit, usually decided by some politically-inspired minister. In the case of FijiFirst, the philosophy is that we are all the same; there are no differences. Jyoti and her fellow travellers are in the grip of delusional thinking, di­vorced from the reality of the make-up of Fiji. To me this is a form of extrem­ism. Within it lie the seeds of trouble. This is not hard to fathom. It is easy to see she shares the think­ing in the letters to the editor of Peni Naoma of Savusavu and Kaushal Ku­mar of Nasinu, who also denounced me. For starters, if she seriously believed the survey I published on Facebook about board and executive appoint­ments carried no weight, her reaction, and those of Peni and Kaushal suggest I may have struck a raw nerve. It is precisely the divisive delusional thinking that sows the seed for mis­trust, anger and resentment to grow. Jyoti and her newspaper are complicit in this. Jyoti’s constant adherence to the line that the government can do no wrong completely erodes her credibility. Jyoti tries to suggest my survey is in­complete because I never mentioned a lot of other organisations. But the survey was only about 33 government-owned entities. It was not about permanent secretaries or the Po­lice or the military or anything else. Nor was it about the period before 2007, or the profitability or losses of the organisations, or how many women leaders there are today and how many girls go to schools or universities. Jyoti would do well to note that I even spe­cifically stated I was not questioning the suitability or qualifications of ap­pointees. My aim was to determine whether the appointments to boards, executive po­sitions and chairmanships and gender balance were compliant with the 2013 constitution. Sec 26 (3) which says a person must not be unfairly treated directly or in­directly on the actual or supposed per­sonal characteristics, including race, culture, ethnic or social origin. Nowhere does it say anything about ‘merit’. That said, I obviously agree that any appointee from any community must be suitably qualified for the position for which they are being considered. However what I do not accept is that those appointing could not find 93 suit­ably qualified iTaukei citizens from the more than 500,000 in Fiji or abroad to warrant appointments. Had some real effort been made to do this, it would have ensured a fair, just and balanced representation on all boards and be compliant with the provisions of the constitution. What was telling about Jyoti, Peni and Kaushal’s take on the survey was that none of them saw anything wrong with the huge gender imbalance of 94 per cent male vs six per cent female. Further, Peni was not concerned that his own community accounted for just six per cent of chairs, nine per cent of executives and 24 per cent of board ap­pointees. For the record this trend is not recent; it existed when I first conducted simi­lar surveys in 2017 and it continued in 2018 and it’s still happening in 2019. Again I stress that we are a multicul­tural, multi religious and multi ethnic society. It is therefore incumbent on all of us to be forever vigilant and call out any eventualities that have the poten­tial to create destructive division and create ethnic and racial mistrust and resentment. We all have a responsibility to stop this. And for you Jyoti I have a final com­ment. The ultimate tragedy is not the oppres­sion and cruelty by the bad people but the silence over that by the good people. Martin Luther King, Jr.